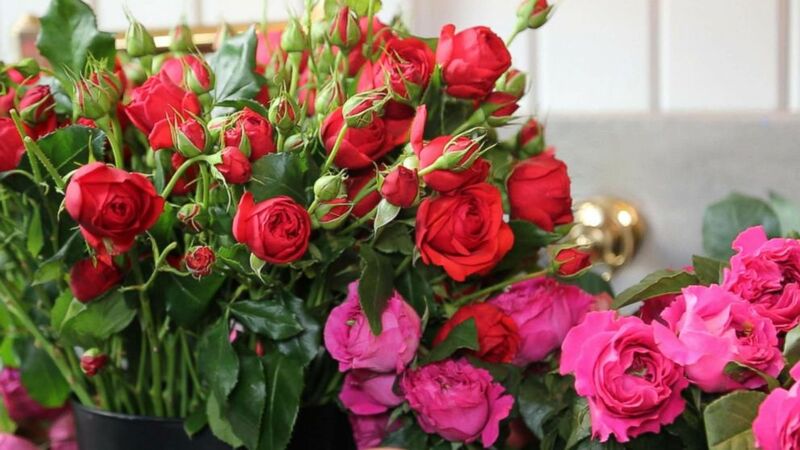 A NYC floral shop features blooms from New Jersey and California. (ABC News) US-grown flowers can be more expensive, Emily Thompson said, but there are several reasons to buy them including carbon footprint. The foliage she uses comes from Puerto Rico. "We're bringing their seasonality and their landscape home with them." 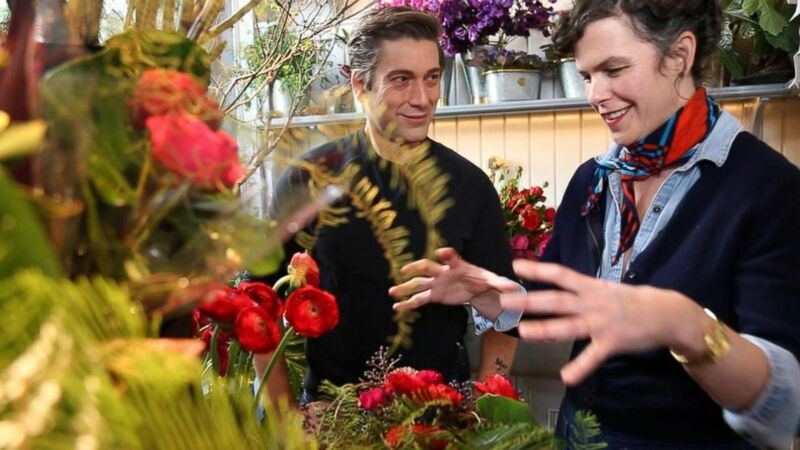 (ABC News) David Muir speaks with florist Emily Thompson in New York City. Thompson said recently that her shop supports US farmers and she's noticed that customers are starting to ask for local flowers as well. 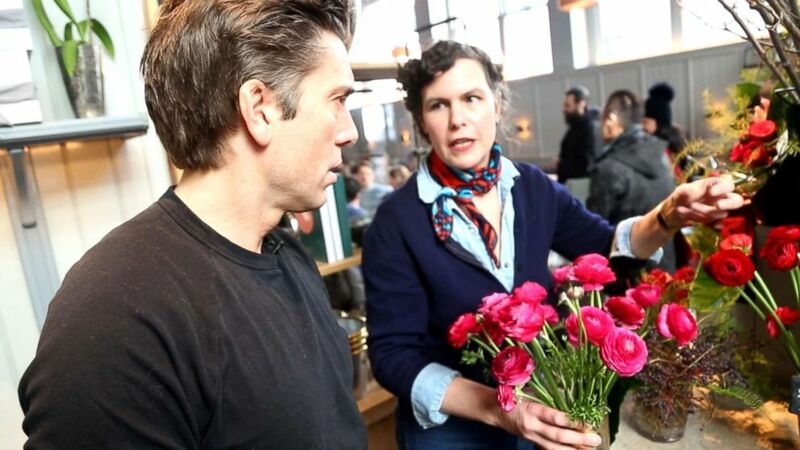 (ABC News) The shop also sells ranunculus, which Emily Thompson gets from Hautau & Sons in Branchville, New Jersey. Thompson said the farm grows an incredibly variety of the flower.